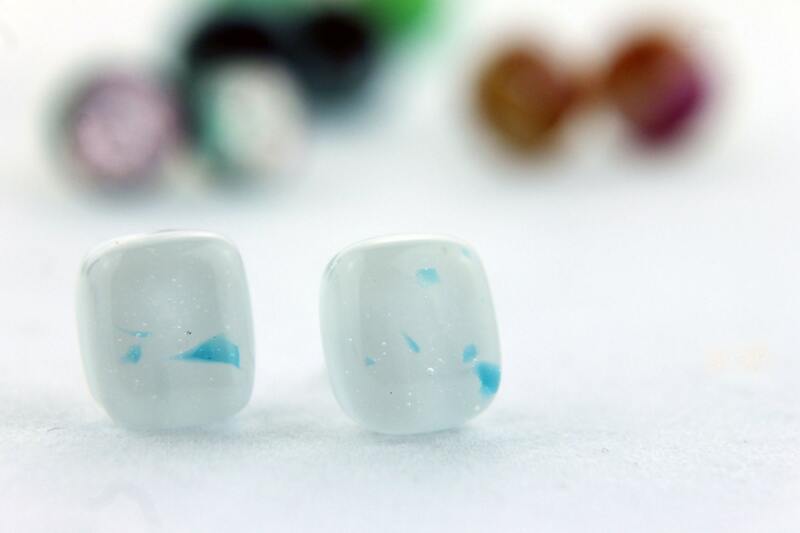 Aqua bits in white fused glass stud earrings! 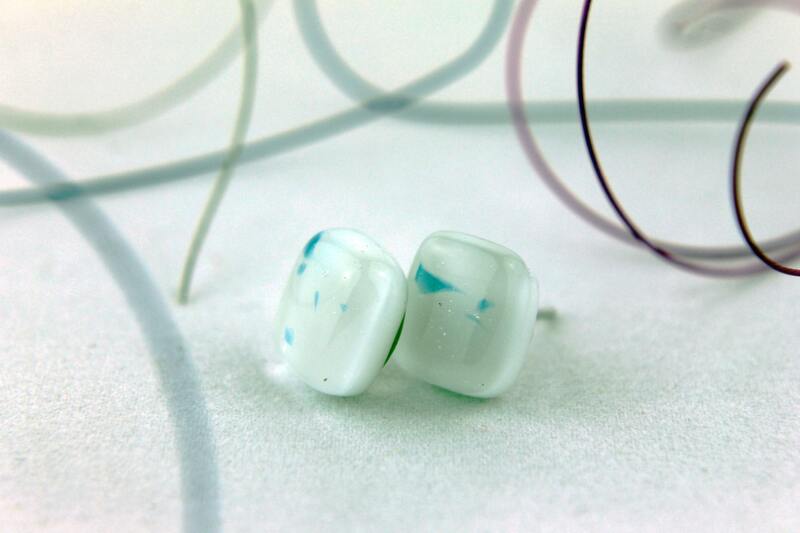 These wonderfully jewels are hand cut and fused by me. 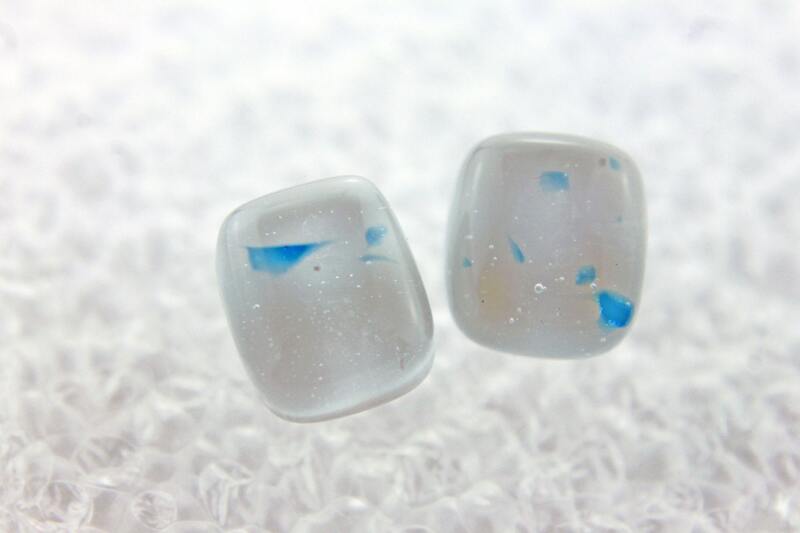 Please note: It is so difficult to "capture" glass colours in photographs, I will do my best! 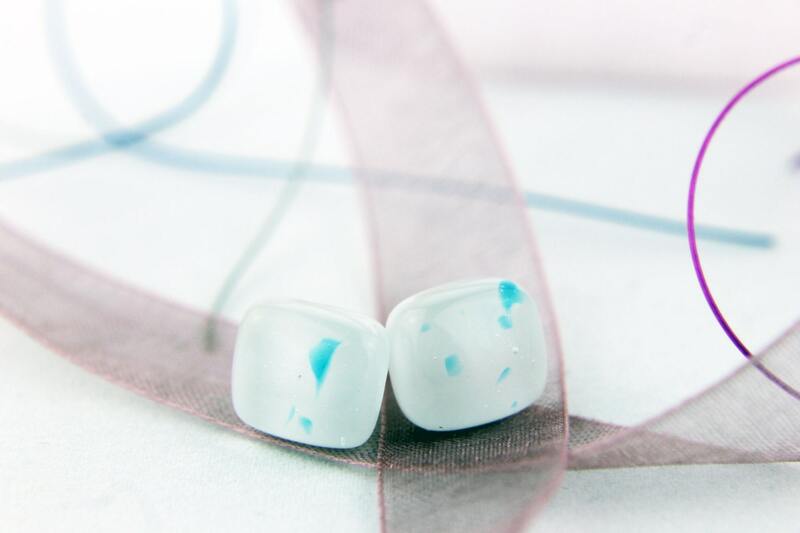 Fortunately, it also has the properties of blending beautifully with the colors it is worn with.